I am honored to have the opportunity to serve you in the role of Chairman for the 2018 Fugitive Emissions Summit Americas Conference & Exhibition. I welcome the chance to participate in an event that examines a topic that is so relevant to today’s industry. Aimed at highlighting leak detection, repair and control initiatives, the Conference spans various platforms, including oil & gas, chemical, petrochemical, power generation and more. This event serves as a unique opportunity for professionals to network, explore new emissions monitoring and reduction technologies, and work together to resolve common challenges. With continued leak detection and repair (LDAR) consent decrees being implemented by the U.S. Environmental Protection Agency (EPA), the Fugitive Emissions Summit also provides an ideal meeting place for EPCs, end users, consultants, manufacturers and distributors to discuss the latest industry news and innovations. As Chairman of the Steering Committee and an experienced valve SME for one of the largest engineering, procurement, fabrication, construction (EPFC) companies across the globe, I hope to inspire young engineers to develop expertise in the field of emissions reduction. From my experience, this is where seasoned engineers can contribute greatly, by inspiring a new generation to pursue this growing vocation. This is one area, among many, that I would like to see discussed further. Do you have an idea or topic that you would like to see discussed at the Conference? Please submit a short abstract of your work to our Steering Committee for review. Delivering a paper or presentation is not only rewarding, but also a great way to incite discussion and help drive industry forward. Along with the 2018 Fugitive Emissions Summit Steering Committee, I look forward to reading your abstracts and presenting you with an informative yet practical conference program that will challenge you to learn more about the important role that the industry plays in reducing fugitive emissions. I anticipate a great Conference ahead and look forward to seeing you in Houston! Gobind Khiani, M. Eng., P.Eng. has served in engineering and project management roles for both Operating and Engineering, Procurement and Construction (EPC) companies. He has a bachelor’s degree in Piping Design & Engineering from the University of Pune, India and a Master’s of Engineering from the University of Calgary, Alberta, Canada. Currently he is Technical Fellow Piping Valves with Fluor Canada, Ltd. He is the 2018 Chairman of the Fugitive Emissions Summit Americas Conference. Rodney has over 25 years of experience in the manufacturing, design, R&D, engineering, sales and marketing of stationary sealing solutions to include packing and gaskets. Rodney has extensive experience in the recommendation and design of engineered sealing solutions for use in all types of valve and flange applications with a focus on Low E sealing Technology for valves and large diameter critical flange sealing. A valve and actuator industry veteran of over 10 years, serving roles in engineering, manufacturing, and quality assurance. Mr. Anderson holds a Bachelor of Science degree in Engineering from Texas A&M University. He has been a committee member for development of API, ISO, and ASME standards. Mr. Anderson currently holds the role of Technical Director – Butterfly Valves for Bray International in Houston. 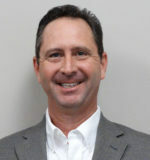 Joel Baulch is the Director – Engineering and Technical Services for Teadit’s North American division. He has 20+ years of manufacturing experience, primarily in the sealing products industry. He has served the last 6 years at Teadit, aiding in the development of their fugitive-emissions product basket, which includes Style 2236 valve stem packing. Acting as the North American link to Teadit’s Global R&D group, he has helped bridge understanding of the fundamentals of equipment designed for fugitive emission service. 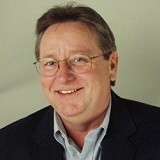 Ralph began at MRC Global in 2009 as the Executive Director of Downstream Valves. Prior to MRC, Ralph worked with Fisher Controls, followed by Valtek Control Valves, in sales and the process control specification sector. After 18 years in the control industry, Ralph left his position with Keystone Controls/ Vanessa Triple Offset Valves to work exclusively for Vanessa for the next 15 years. Spending the first 33 years with manufacturers, Ralph moved to the distribution side of the business, where he enjoys working for MRC Global. Mr. Chou is the assistant plant director of Gate Globe Check valves at Neway Valve (Suzhou). Stumbled into the valve industry since graduating from University of Texas at Austin in 2009 and have been actively engaged in the standards and subsequent fugitive emission standard development process since 2010. He had worked closely with multiple packing manufactures to develop Neway’s API 600 gate valve line into the first third party indecently API 624 certified line and have been pushing for the adaptation of API 624 globally at various conferences. Luke believes in action over words so can often be found at site re-packing valves to low emission, please withhold any Star Wars jokes until the end of the presentations. 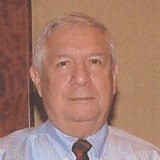 Carlos Davila is the Product Manager-Americas, for Crane ChemPharma/Energy Flow Solutions. 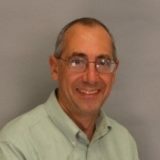 He is a Registered Professional Engineer and a graduate of the University of Houston with a Bachelor of Science in Mechanical Engineering with over 48 years of experience in the valve industry. As Chief Engineer, Technical Operations Manager and General Manager he was involved in the design, development, application and production of valves including check and butterfly. He is also an active member of the API Manufacturers Subcommittee on Piping and valves for over 33 years. Carlos is the current Vice-Chair of the ASME B16 Standards Committee, Chair of the B16 flanges Subcommittee C and member of B16 valves subcommittee N.
Rich holds the position of Business Development Manager Western Hemisphere and China for Flexitallic LP. Rich is a 40 year veteran of the fluid sealing industry and most recently has provided consultation services to leading petrochemical organizations in the areas of product development, customer specification and approval, quality systems, supplier approvals and process improvement. 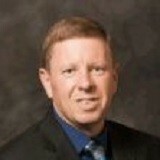 Rich is a member of the API Subcommittee on Piping and Valves and also Heat Transfer. Rich held the position of Chairman of the first Fugitive Emissions Standard written by the ISA. He has held leadership positions in the development of fugitive emissions and other standards in those groups. Dan DeVine began his career in 1987 working for the Union Carbide Corporation after graduating from the University of Iowa with a Bachelor of Science degree in Chemical Engineering. He joined The Dow Chemical Company in 2001 through the acquisition of Union Carbide. He has worked in multiple chemical industry roles including production, chemical distribution, with the majority of his time spent in engineering design and project functions dealing with valve, piping, and pressure vessel technology. He is currently the Valve and Sealing (Packing) Technical Resource Leader at The Dow Chemical Company, and has successfully implemented a low emission valve and packing program at the Midland Michigan Operations Site. 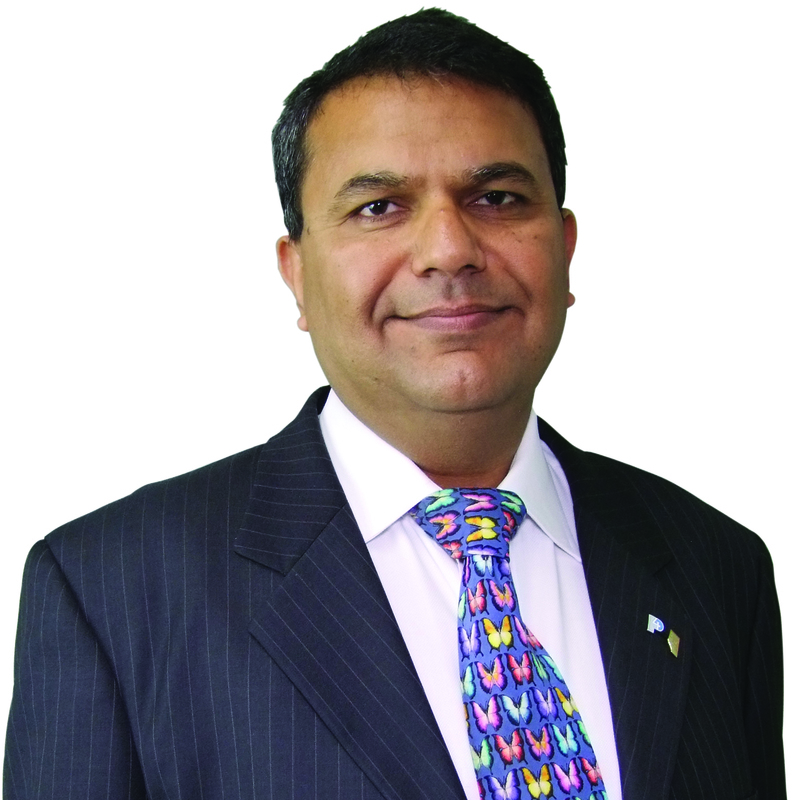 Dr. Brindesh Dhruva serves as Vice-president of Technology for Bray International in Houston, leading valve and actuator technology development worldwide. He holds a PhD in Engineering and Applied Science from Yale University. 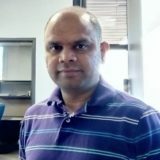 Brindesh holds multiple patents and has been published in several technical journals. 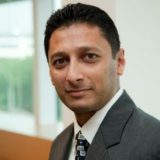 Prior to joining Bray in early 2013, Brindesh held several strategic management positions over a 14-year period with Schlumberger with responsibility for product development within various business units and worldwide locations. 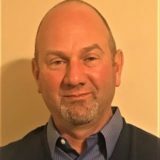 Jim has worked for Garlock in the area of sealing technology since 1983 in engineering roles related to compression packing, gaskets, oil seals, OEM, marketing and business development. Jim helped lead the integration of Pikotek and Pipeline Seal & Insulator companies into what now known as GPT-Garlock Pipeline Technologies. He has helped the chemical process industries with sealing solutions to meet the demands of the USA’s the new enhanced leak detection and repair (LDAR) programs. 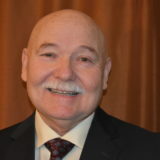 Jim has three patents, is the author of articles on sealing technology and sealing to meet emissions regulations, presented papers at technical symposia and contributed to the industry standards of API, ASME, EPRI and STLE. 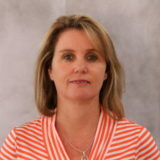 Ms Dwyer is a piping material engineer with Fluor and began her career with Fluor in Johannesburg, South Africa in September 1988. She began as a piping designer and soon took an interest in piping material. In that office there was a variety of projects including hydrocarbon, mining and even brewery piping. After a number of years as a specialist in the Johannesburg office, she was offered a position in the Fluor office in Houston. Claire is now one of the representatives of Fluor at the API Refining Meeting, which is held twice a year and gives the participants a direct chance to influence the content of the valve standards. 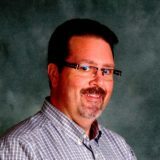 Rob Enneking currently serves as Product Manager – Americas & Pacific Rim for FluoroSeal Specialty Valves who are headquartered in Montreal, QC, Canada. FluoroSeal is a full line, global manufacturer of sleeved and lined plug valves, alloy and lined ball valves, lined butterfly valves, and pneumatic rack & pinion actuators. Rob has over 30 years’ experience in valve manufacturing, sales, and marketing with an area of expertise focusing on soft seated sleeved and lined plug valves. Rob received his B.S. in Mechanical Engineering from the University of Cincinnati. Tony Foster is Director of Marketing and Business Development at Emerson Automation Solutions where he responsible for the Virgo valve product lines. He holds three engineering degrees and an MBA. 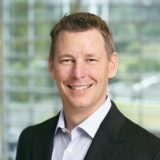 He has spent over 20 years with process automation companies in various roles including engineering management, product management and global marketing. Tony has an extensive background in new product development both from the engineering and marketing prospective. Using this technical background, he has launched engineering and business solutions into multiple markets around the globe to help solve customer pain. 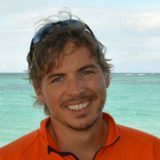 Matt is the Vice President of Business Development for Emission Monitoring Service, Inc., where his passion for building strategic partnerships has afforded him a strong alliance throughout the environmental industry. His dedication to providing exceptional customer service is integrated into every opportunity presented.Highly recognized as an expert in Leak Detection and Repair, Matt is actively engaged in the environmental community. Tim Goedeker, Environmental Manager – HSE Refining at Phillips 66 Company, graduated with a BS in Chemical Engineering from Purdue University in 1984 and in 1999 with a Masters of Business Administration from the University of Montana. In his present role in the Corporate Health, Safety and Environmental (HSE) organization, he is accountable for assisting all Phillips 66 refineries with eliminating Environmental regulatory non-compliance, managing emissions footprint and enhancing the corporate sustainability strategy. He oversees the completion and termination of the two EPA National Petroleum Refinery Initiative Consent Decrees which cover the Phillips 66 US refineries. Two refineries recently were terminated from the Consent Decree obligations. 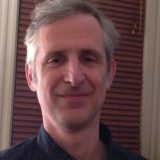 He leads a number of internal networks including the LDAR, BWON, Waste and Environmental Leadership networks and is an active participant in industry environmental trade group networks. 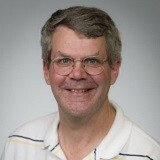 Paul joined Bonney Forge in 2009 as Vice President of Product Engineering. Responsible for Specialties and China Operations, Paul spends his time interfacing with both domestic and international operations and sales to supply Bonney Forge products and services that exceed customers’ expectations. His broad responsibilities include engineering, operations and sales. Paul began his career 33 years ago as a Design Engineer, first working at Fisher Controls and then PECO. He also worked as Engineering Manager/Director at other valve companies, including Valve Technologies, Tyco and MGC. He successfully managed diverse design, manufacturing, operations and specialty sales groups, both domestic and international, for varying types of valve products including ball, control, gate, globe, check, regulators and relief valves. Tanya Jackson is Director of Client Accounts for Montrose Air Quality Services, LDAR Division. Ms. Jackson has been a Project Manager for 6 years, specializing in agency liaison, regulatory compliance analysis, and data management. 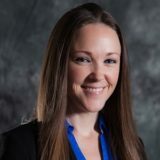 Her expertise includes Tagging and Inventory, Greenhouse Gas Emissions, LDAR Method 21 Monitoring, Optical Gas Imaging, and Tank Seal Inspections. Prior to joining Montrose Environmental Group, Inc., she was employed as an Air Quality Inspector with the South Coast Air Quality Management District in Southern California, where she served on the enforcement team, providing her with a unique perspective on quality assurance in the LDAR industry. Ms. Jackson is a frequent presenter at national LDAR conferences. 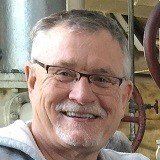 Greg Johnson has been in the valve industry for 37 years and is the president of United Valve, a 54-year-old valve service company located in Houston, Texas. 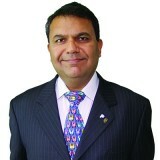 He has been active in standards development activities for over 25 years in API, ISO and MSS. He is past-president of MSS as well as chairman of the VMA Education & Training committee. He also serves as chairman of the API sub-committee on piping and valves, manufacturers and contractors group. 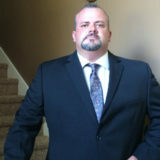 Phil Mahoney is currently a Principal Managing Engineer in the Subject Matter Expert Services group for the A.W. Chesterton Company. He has a BS in Marine Engineering and an MS in Engineering Management. With over 27 years of experience in the sealing industry, he has held various positions including Applications Engineering, Product Management and New Product Development. He has been involved in the area of Low Emissions sealing for almost 20 years and actively participates in a number of standards groups such as API, MSS and ASTM. Phil is currently the President of the Fluid Sealing Association, and he has been active in FSA since 2004. 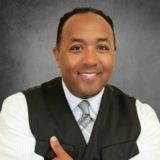 Kevin Moses started as a monitoring Technician with Environmental Analytics, in 2003 working at the Dow site in Texas City. Eventually, he was promoted to the position of Manager of Advanced Maintenance. In his free time he began studying the theory of Flame Ionization Detectors and, along with Jeremy Bollinger, began to imagine what an FID engineered specifically for Method 21 monitoring would look like. As the Director of Operations for LDARtools, he has contributed to the development of virtually every piece of hardware and software that the company offers. Just as importantly, he has been the driving force behind the development of important client/business relationship around the world, most notably in Taiwan and China. As of 2014, he shifted his focus toward the design, development and deployment of important software projects. (As Project Manager, NOT a programmer.) LTI Mobile, Chateau, and Freedom are all LDAR applications to manage and efficiently run an LDAR program. One of Kevin’s recent accomplishment, is developing the latest generation of portable FID with his good friend and LDARtools cofounder Jeremy Bolinger. Mark has more than 25 years’ experience in the environmental field focused on air quality compliance in the refining, petrochemical, and natural gas processing industries. His core experience in the implementation and operation of fugitive emission source Leak Detection and Repair (LDAR) programs. In Mark’s 22 years as an LDAR Contractor he has held the following positions relating to LDAR; Monitoring Technician, Lead Technician, Inventory Technician, Environmental Monitoring Site Supervisor, Local Project Manager, Regional Project Manager, Regulatory Compliance and Quality Control Manager and the executive title Director of Quality Control and Training. 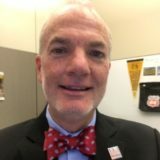 Currently, Mark is Sage ATC’s LDAR subject matter expert (SME) and Consent Decree (CD) lead auditor and has performed Highly Reactive Volatile Organic Compound (HRVOC) audits for various facilities. Mark also is the lead trainer for Sage ATC’s LDAR instructor lead offerings including LDAR Essentials, Advanced LDAR, EPA Method 21 and LDAR Technician Basic Training. 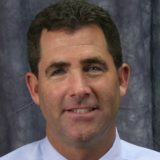 Craig R. O’Neill is employed by FLIR Systems as a Business Develop Manager for the Instruments Division with responsibility for the Premium Business Segment in the Americas. After graduating from Texas A&M University with a B.S. degree in Industrial Distribution, Craig worked in the hydraulic industry in sales and power system design for Hydradyne Hydraulics. In 2002, he joined FLIR Systems as the Sr. District Sales Manager covering the South Central US and Puerto Rico. He is currently certified as a Level II Infrared Thermographer through the Infrared Training Center. He also has certifications as a Building Science Thermographer, Optical Gas Imaging Thermographer and as a Fluid Power Hydraulic Specialist. 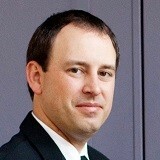 Bronson Pate serves in the role of Global Environmental Consulting Manager at A.W. Chesterton. Bronson has served as the lead for all international business including China, Malaysia, Argentina, Bolivia, Peru, Brazil, Mexico and Europe. Bronson is familiar with VV, VVa, GGG, GGGa, KKK, QQQ, MON, HON, API 622, API 624, TA-LUFT, ISOM 1500 and worked with multiple facilities to develop Leak Detection and Repair (LDAR) programs including those subject to United States of America (USA) LDAR Consent Decree (CD) requirements. He has experience in fugitive emission source Leak Detection and Repair (LDAR) monitoring, tagging, and database management, including Process and Instrumentation Diagram (P&ID) review. Paul is the President of Emissions Monitoring Services, Inc., and as a servant leader, has built a career on supporting the achievement of the goals of others. 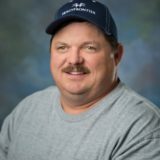 His passion for environmental management and serving others are evident when you work with anyone from EMSI. Paul has deep knowledge of the business, obtained through experience as a field monitoring technician and Supervisor, managing large projects and supporting the needs of companies like ExxonMobil and Enterprise Products. 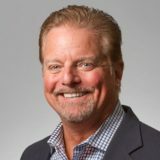 Paul also served as the Operations Director for EMSI; during that time, he partnered with a team of industry professionals to develop and patent the first blue-tooth monitoring system utilized in the LDAR business. 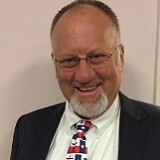 Paul supported the organization as Vice President before taking the helm in 2007. Dr. Raja has over ten years of experience in air quality management. 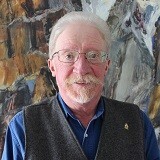 His innovative contributions to the air quality management field include: development of methods to monitor and model spatial distribution of ambient particulate matter, indoor air quality and its effect on asthma symptoms, and development of methods to test emissions of criteria pollutants from new advanced high efficiency stationary combustion systems.Dr. Raja has published over 20 peer-reviewed journal papers and presented over 30 peer-reviewed conference papers. Cam Robertson has worked in the piping trades for over 30 years. He is a journeyman Steamfitter/Pipefitter as well as a Forth Class Power Engineer. Cam has been employed by Inter Pipeline Ltd at the Cochrane Extraction Plant for over 20 years. 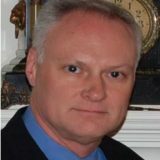 Mike Shorts is a senior executive for several global, associated companies in the fluid sealing, valves, and pump expendables sectors with responsibility for operations in Canada, United States, Singapore, and China. Mike received his BSE in 1996 and his MBA in 2005 both from Queen’s University in Kingston, Ontario. 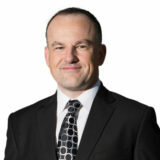 Mike started in the fluid sealing industry in 1996 with Durabla Canada Ltd. and is currently the President of Triangle Fluid Controls Ltd. Mike has been an active member in the Fluid Sealing Association (FSA) since 2000, and with more than 20 years of comprehensive fluid sealing industry experience, he is recognized as a fluid sealing subject matter expert. Ray Smalts began his career in the emissions industry 15 years ago as a LDAR monitoring technician. He has since been promoted to Regional Project Manager of the southwest region, managing approximately 24 clients and 42 facilities. In 2013, Ray was offered a position at HollyFrontier’s Navajo Refinery. Currently, Ray acts as an Environmental Specialist at HollyFrontier Navajo Refining LLC in Artesia, New Mexico. Some of his daily responsibilities include: Program Management for the Leak Detection and Repair Program, MACT CC Compliance and Reporting, NSPS GGGa Compliance and Reporting, NSPS QQQ Compliance and Reporting, BWON Compliance & CEMS Tracking. Brandon Sumners is a Principal Applications Engineer for Airgas, an Air Liquide company. Based in Houston, TX, as a member of the Chemical, Environment and Technical Solutions Team, Brandon has worked in the chemical and refining markets for 20 years providing applications support and industrial gas expertise. 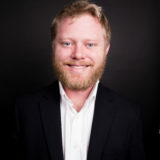 Prior to Airgas, Brandon worked as a run-plant engineer for Dow Chemical in ethylene, high density polyethylene and Ziegler-Natta catalyst production. Brandon has a Bachelor of Science in Chemical Engineering from Texas Tech University. Brandon is also recognized by Air Liquide as an International Expert in Cryogenics. Currently, Brandon lives in Houston, Texas and supports the Gulf Coast area in Chemical, Petrochemical, and Refining Applications. Chong Tao is currently a lead design engineer at HBGE Digital Solution. 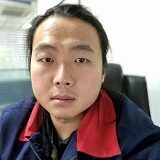 Tao joined GE Sensing in 2011 as the Lead Design Engineer. In that role, he had developed optical sensors for moisture measurement in natural gas and petrochemical applications. He has also lead the development of flare control system to achieve high combustion efficiency and regulatory requirements for refineries and petrochemical plants. 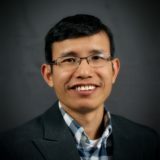 Chong Tao obtained his Ph.D. degree in Physical Chemistry, specializing in Laser Spectroscopy and Instrumentation, from the Johns Hopkins University. Mr. Tiemeyer has over 30 years of experience related to environmental compliance, including air, water, waste, and regulatory affairs. This experience involves managing environmental compliance programs in various industries, including oil and natural gas midstream operations, petroleum refining, and Portland cement manufacturing. 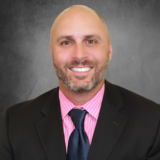 Since 2010, Mr. Tiemeyer has served as Senior Manager of Environmental at Energy Transfer Partners, responsible for corporate Regulatory Affairs, EHS Database Management, and Waste/Water/Remediation. Mr. Tiemeyer has a BA in Biology from Bethany College in Lindsborg, Kansas and a BS in Environmental Engineering from Kansas State University. Senior Piping Materials Specialist with over 13 yrs of experience in Design, Eng., & Const. of OG&C Projects. The last 5+ yrs have been at Bechtel Corporation in the Cryogenics Industry, working at both Project and Functional levels to develop cryogenic valve design standardization and testing requirements. Industry participation includes involvement with PIP (Process Industry Practices) valve task team & the API CRE SCOPV (subcommittee on piping and valves). Larry Wilkerson is the Supervisor of Fugitive Emissions at the Andeavor Martinez Refinery. Working in the oil industry since 1974, Larry has held positions from process operator to production coordinator. Transitioned to environmental air compliance in 2005 as a senior air specialist in charge of Title V compliance. Larry attended continuing education classes in environmental science at Bakersfield College to stay informed of regulations that affect the oil industry. Larry is a recipient of the Texaco super star award for 1998. Larry is currently working with the Bay Area Air Quality Management District on a heavy liquid study. Larry lives in Fairfield California.